You don't have to travel to see a right hand-driving Jeep. They can be found all over the U.S. as service vehicles, especially by mail carriers. The workers of the U.S. Postal Service, like you, don't let weather stop them from doing their jobs. Keep weather from slowing you down with these Export Wrangler slush mats. 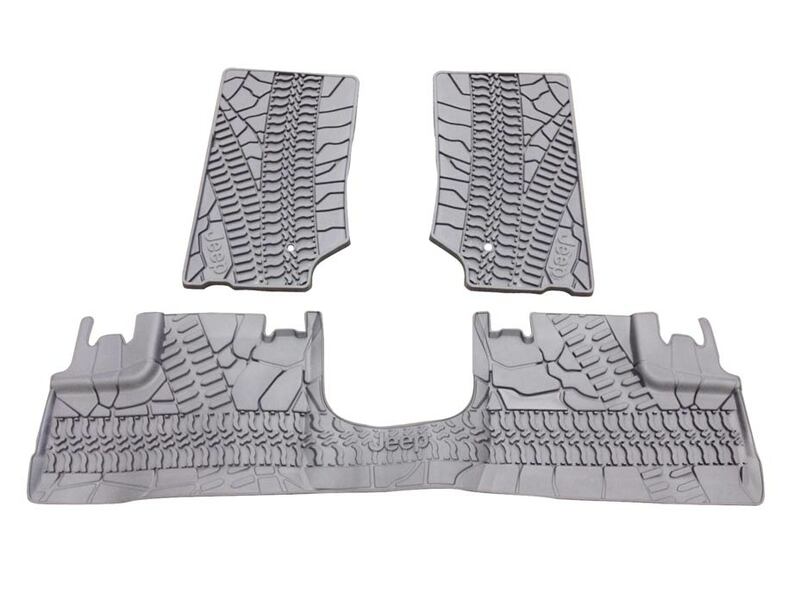 Available in sets of two or four, these mats feature deep ridges that tuck snow, mud, slush and ice away. That means whatever your boots track in won't damage your interior, and you'll always find grip for your feet to work the gas and brake pedals. They are easily removed for cleaning, so once the snow melts, you can prepare them for spring's mud. At Just for Jeeps, we offer the same Jeep Wrangler accessories as dealers, only with a big discount that dealers wouldn't ever think to offer. Combined with our excellent shipping deals, you'll save money at the same time as you're saving your Wrangler's interior from moisture's damage. 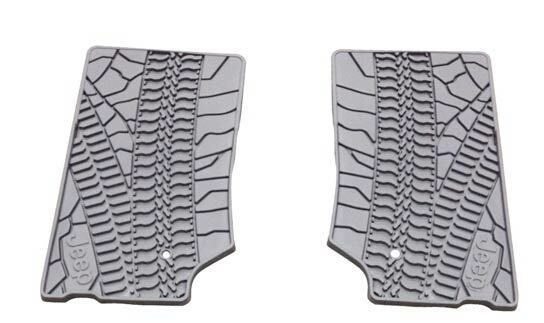 The 2-Door (Front Slush Mats only) or 4-Door (Front & Rear Slush Mats), Slate Gray, Unique Pattern with Jeep Logo. When I went to put the mats in the front of the Jeep, the two front mats were for the same side. I called the company sent the email and they are fixing the mistake. They have great customer service and friendly employees. Just waiting on the replacement mat. Fit as they should. Quick delivery. These were for a RHD Jeep hard to find ones that fit correctly. I've been looking for these mats for a long time. I'm a rural mail carrier and own a right hand drive Jeep Wrangler that I use on the route. I've looked everywhere for a set of slush mats that will fit. These fit perfectly and didn't break the bank.